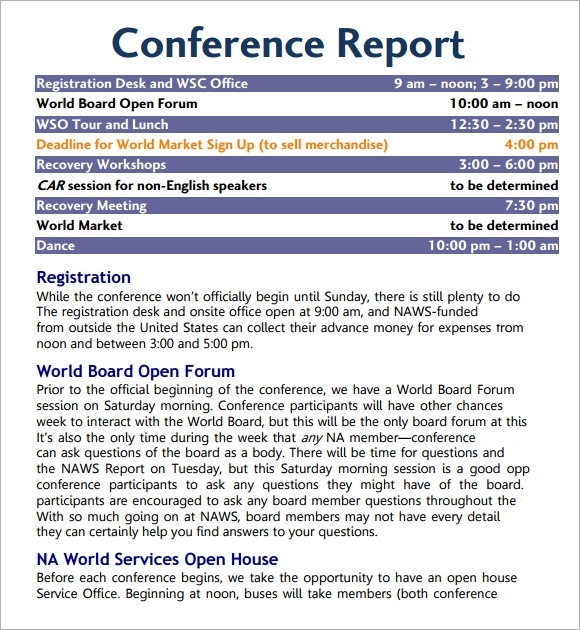 The use of conference agenda is to have the outlines of the importance of issues or new information that needs to be discussed that have a great impact on the lives of the attendees; a guiding tool that can identify the points of the forum objectives and its significance to the community or to specific field where it is categorized.The example template has the downloadable Sample Agenda Templates which any participants can view to recognize the purpose of the materials that is being shared into them in the forum. A conference agenda can make or break the event so it must be likable and relatable to all the attendees which they can participate actively. This theme is designed to excellence for the purpose of building a conference agenda. The overall look is very simple, crisp, formal and also impressive. Use it today to impress the audience of the conference. This design can help you to organize and conduct your conference in an improved manner. The structure is simple and very easy to follow. Trust this conference agenda template can help you to cover topics and issues of concern in a systematic way. Download and use this template to make a structured format for your conference. With the help of this template you can stick to the timelines so that the entire event can be conducted in an effective method. This is the best tool to keep you focused and also be better target oriented. Do way with spending excess time any one issue or concern. Become more productive and attain more with the help of this template. Be a great organizer and a super disciplined person. 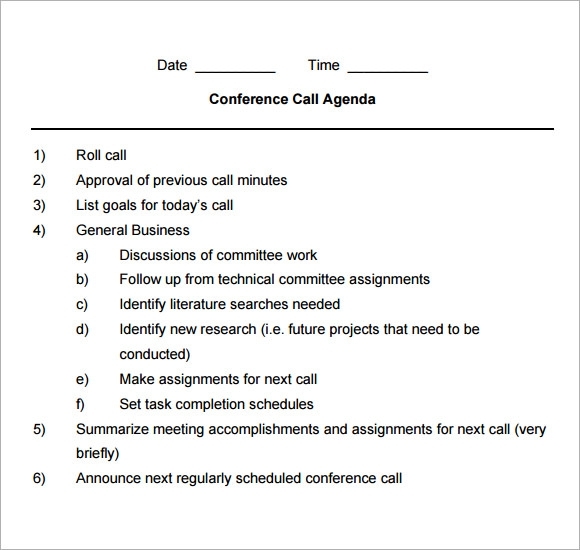 This conference agenda template can prove to be a great practice that can keep the whole even streamlined. 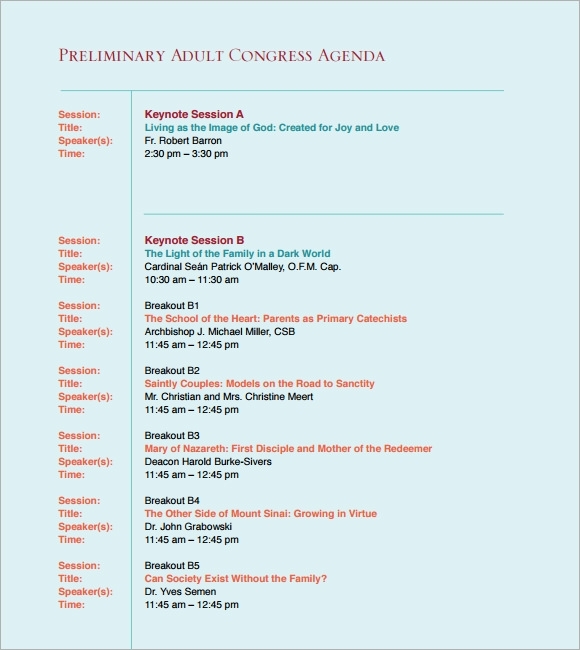 What are these Conference Agenda Templates? These conference agenda templates have been professionally developed so that high profile conference can be conducted in an effective, efficient and also sophisticated way. 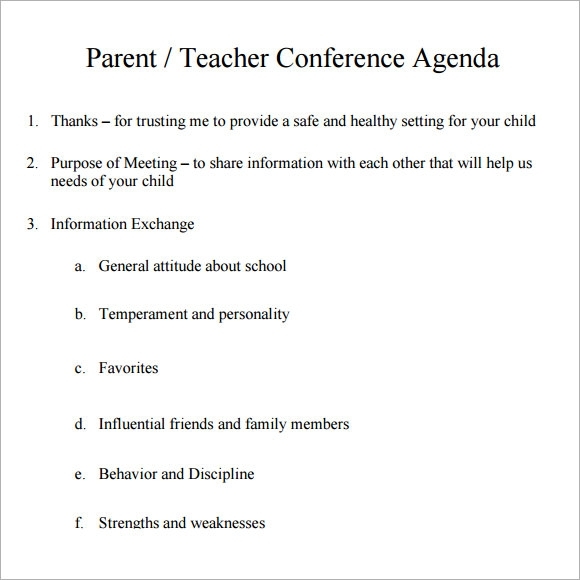 These templates are actually discipline implementing tools that can actually help any organizer to conduct a conference in a proper way. These themes helps to conduct conference meeting in a time economic way. 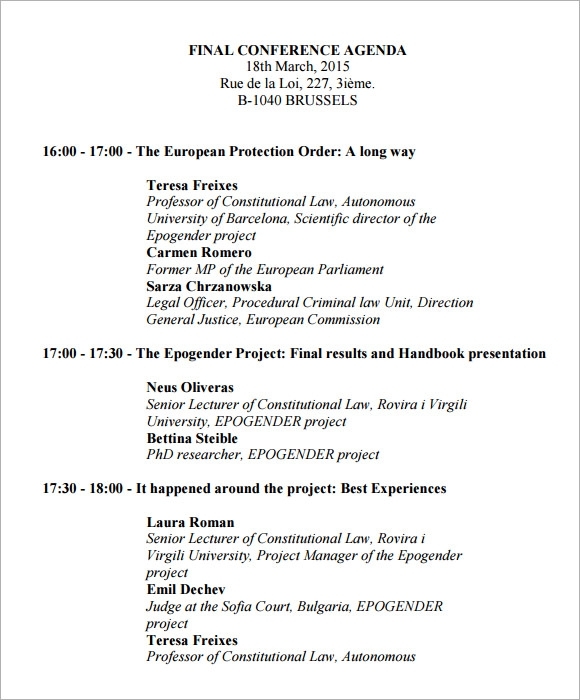 Even if the event happens to be of a large scale one, the organizers can complete it in time giving equal importance to all the issues and agendas that needs to be covered in the conference. The overall effect remains to be a positive one. 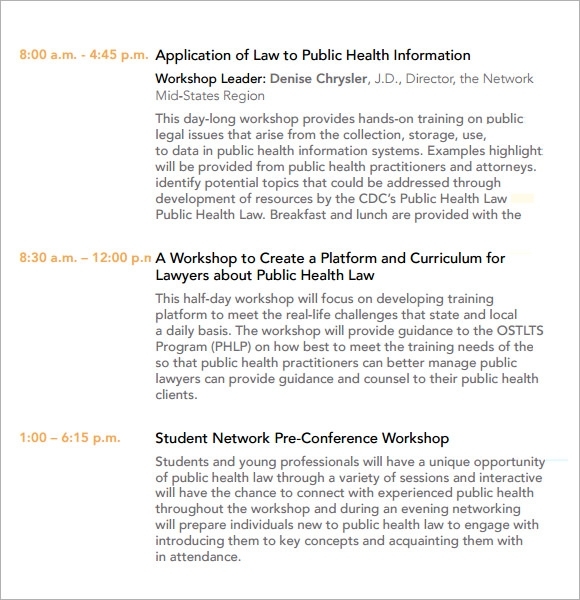 Who can use these Conference Agenda Templates? 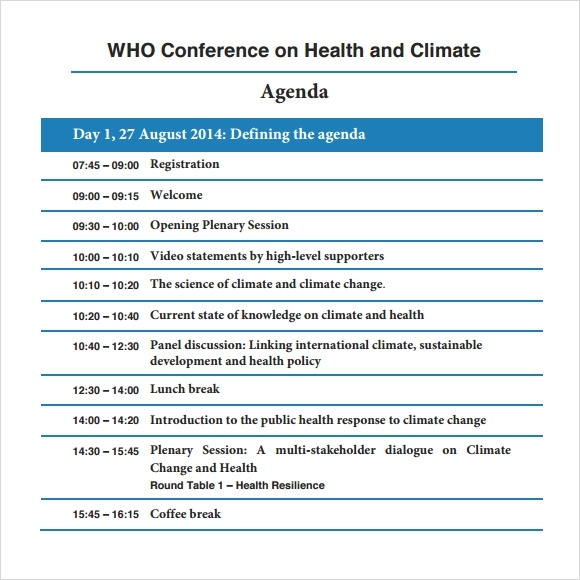 These templates can be used by people who are organizing the conference. It has been seen that often the head office of a company does happen to organize these conferences and hence intimates and informs the attendees of the conference from the other branches of the company about the schedule of the conference. 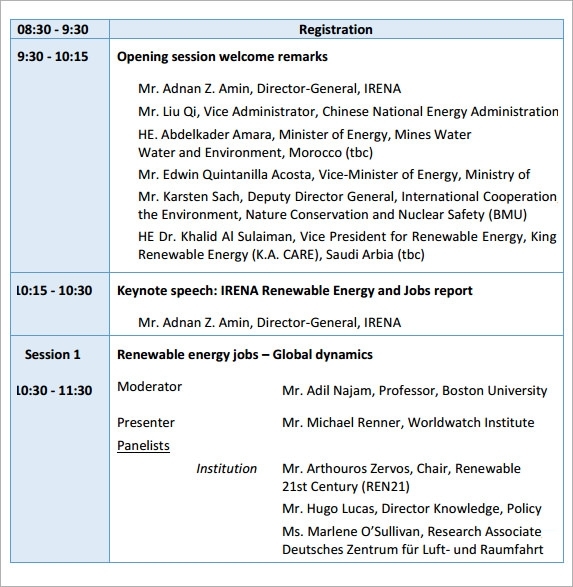 These templates can give a formal look to the entire event of the conference and can impress the attendees.You can also see Sample Weekly Agenda Templates. The templates offer a formal and effective structure. The user can create a great schedule or a conference that can be used to conduct a streamlined conference. The templates have a formal structure hence the user needs not make many changes. They are ready to be employed. Hence the user cans save time. The themes are also super editable. The user can delete and add information as required. These conference agenda templates are developed so that the corporate employees can get an added support in their task of planning an event of conference and conducting the same perfection. Download them in the form of word document, PSD and also PDF. These themes are time effective helps in multi tasking. You can also see Sample Event Agenda Templates.